Available to download in PDF, EPUB (iPad) and MOBI (Kindle) formats. 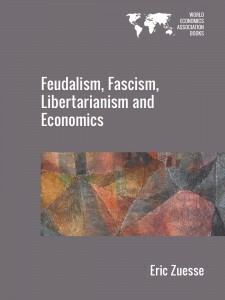 This book assesses political economy by considering various ideals, including collective decisions and democracy, freedom, justice, and development. 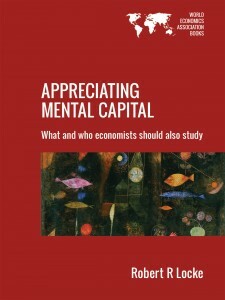 Beginning with the idea that social evaluation using the familiar metric of GDP is extremely limited, this book draws inspiration and incorporates basic insights from the writings of Amartya K. Sen. Within its reconstructive methodology, this book brings in ideas from various major thinkers, including the contemporary philosophers Rawls and Habermas, and the classical thinkers Aristotle, Adam Smith, J.S. Mill, and Marx. This work will be of interest to students and scholars in social and political philosophy, economic philosophy, the philosophy of law, the philosophy of development, the normative theory of institutions, and political economy. The climate crisis is the greatest threat humanity has ever faced. At the current rate of global greenhouse gas emissions, warming of the planet will shoot past two degrees Celsius by mid-century and reach 4°C to 6°C beyond pre-industrial averages by 2100. The magnitude of the impending catastrophe was eloquently described by Hans Schellnhuber, director of the Potsdam Institute for Climate Impact Research, when he said, “the difference between two and four degrees is human civilization …” Adding to that, the biosphere faces massive pollution, resource depletion, species extinctions, ocean acidification, among other looming dangers. 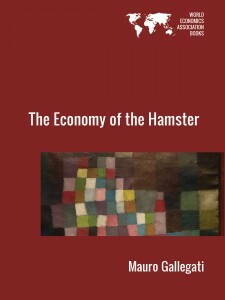 This book critiques economics in the context of ideals such as collective decisions and democracy, freedom, justice, and development. Taking off from the idea that social evaluation using the familiar metric of GDP is extremely limited and drawing inspiration and certain basic insights from the writings of Amartya K. Sen, the work also brings in, within a reconstructive methodology, ideas from various thinkers including those coming from major contemporary philosophers such as Rawls and Habermas, as well as classical thinkers such as Aristotle, Adam Smith, J.S. Mill, and Marx. 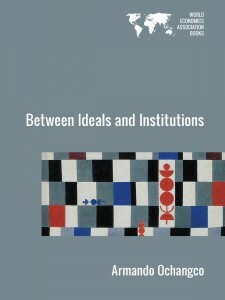 Within the general reconstructive intention, the author raises questions, old and new, pursues and develops both familiar and original insights, and suggests various linkages and inter-connections, as well as integrative perspectives towards developing conceptions of certain basic social ideals that would be relevant to such a broader and more complex kind of evaluation of various social institutions. Institutional and policy realization and feasibility issues are also considered at length—especially in connection with less developed society contexts—as these relate to the major social ideals being suggested. To simple people it is indubitable that the nearest cause of the enslavement of one class of men by another is money. They know that it is possible to cause more trouble with a rouble than with a club; it is only political economy that does not want to know it. The financial sector has the same objective as military conquest: to gain control of land and basic infrastructure, and collect tribute. 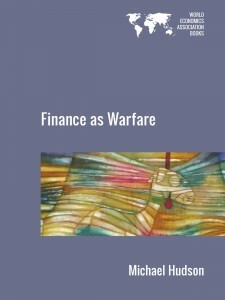 To update von Clausewitz, finance has become war by other means. It is not necessary to conquer a country or even to own its land, natural resources and infrastructure, if its economic surplus can be taken financially. What formerly took blood and arms is now obtained by debt leverage. The creditor’s objective is to obtain wealth by indebting populations and even governments, and forcing them to pay by relinquishing their property or its income. Direct ownership is not necessary. Fully as powerful as military force, debt pressure saves the cost of having to mount an invasion and suffer casualties. Who needs an expensive occupation against unwilling hosts when you can obtain assets willingly by financial means – as long as debt-strapped nations permit bankers and bondholders to dictate their laws and control their planning and politics? 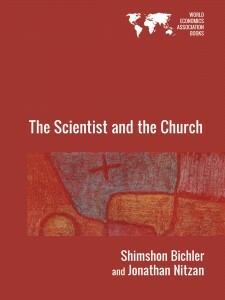 This chapter is the introduction to our new book, The Scientist and the Church (World Economic Association, 2015). 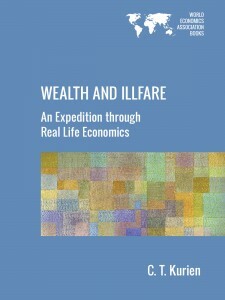 WEALTH and ILLFARE is intended for readers who do not have much knowledge in economics, but are eager to know how economic systems function. In particular, it deals with the phenomenon that many find disturbing, the soaring affluence of the few and the continuing misery of the many that is increasingly becoming evident globally and in our country. Ownership and control over resources, different forms of mediation and asymmetry of information are identified as clues for any interested reader to develop skills to study real life economic problems. It is a unique and timely contribution by a reputed practitioner who, over the past half a century, has influenced generations of students and through his earlier writings the general public as well. This book deals with the prime threat to human life on earth: the tendency of global capitalist economic development to develop us to death, to drive us off the cliff to ecological collapse. It begins with a review of the origins of this economic dynamic in the transition to capitalism in England and Europe and with an analysis of the ecological implications of capitalist economics as revealed in the work of its founding theorist Adam Smith. 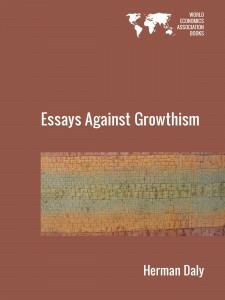 I argue that, once installed, the requirements of reproduction under capitalism – the pressure of competition, the imperative need to innovate and develop the forces of production to beat the competition, the need to constantly grow production and expand the market and so on, induced an expansive logic that has driven economic development, and now overdevelopment, down to our day. Eric Zuesse has written a provocative and challenging volume, though in my opinion he sometimes goes too far in his criticisms and claims. 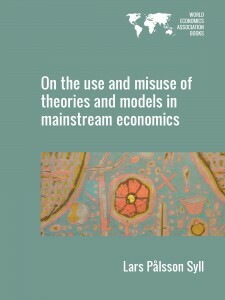 This book proposes two new postulates to replace existing ones that are at the foundation of microeconomic theory. It cites the existing body of empirical findings in economics as being the reasons for them, and it presents a strong empirical case for each of its two new postulates as being true and the one that it is replacing as being false. I regard his book as the work of a serious, committed scholar whose views deserve to be taken seriously. 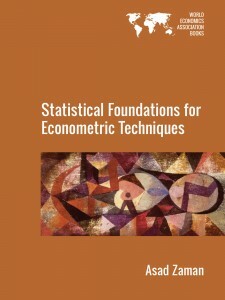 “Statistical Foundations for Econometric Techniques” features previously unavailable material in a textbook format for econometrics students, researchers and practitioners. Taking strong positions for and against standard econometric techniques, the book endorses a single best technique whenever possible. In many cases, the recommended optimal technique differs substantially from current practice. Detailed discussions present many new estimation strategies superior to conventional OLS, and ways to use them. It evaluates econometric techniques and the procedures commonly used to analyse those techniques. It challenges established concepts and introduces many techniques that are not available in other texts. It recommends against using the Durbin-Watson and Lagrange Multiplier tests in favour of tests with superior power. This title forms a judicious mixture of various methodological approaches, and it illustrates Empirical Bayes estimators and robust regression techniques possessing a 50 per cent breakdown value.